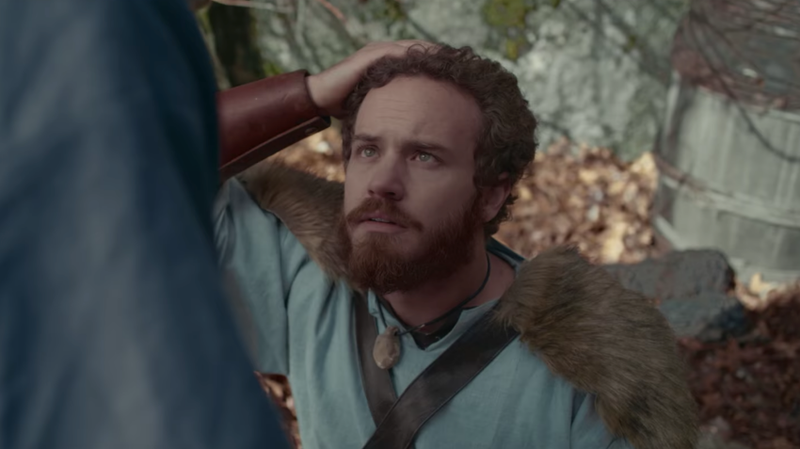 It’s basically what you get when you combine The History Channel’s Vikings with Geek & Sundry’s LARP. Vikings & Pirates has released its first short film, Total Awesome Viking Power, on YouTube. Directed by Morten Forland, it’s about a Viking Larper who’s sentenced by his crew to the Land of the Dead for breaking the “cell phone code of conduct.” There, he comes across the Norse god Odin (who may or may not be the real deal), who teaches him the Ways of the Viking so he can fight, you guessed it, magical ninjas. The short film falls into the trope-filled trap of “stupid white guy saves the day,” but it’s still a lot of fun and really well shot. It’s cool to see different styles of Live Action Role Playing being portrayed onscreen, since we often get stuck with the standard Magic: The Gathering-style fantasy epics. Could’ve done without the borderline-racist ninja stereotypes, though. According to the YouTube page, Total Awesome Viking Power has been featured at film festivals around the world, and Forland is working on turning it into a feature-length film.